Catalog Listing allows admin to create a catalog for a particular product. For Sellers, adding a product and mentioning its price & details has become quick and easy. Customers will also be able to compare different sellers selling the same product with same specifications. 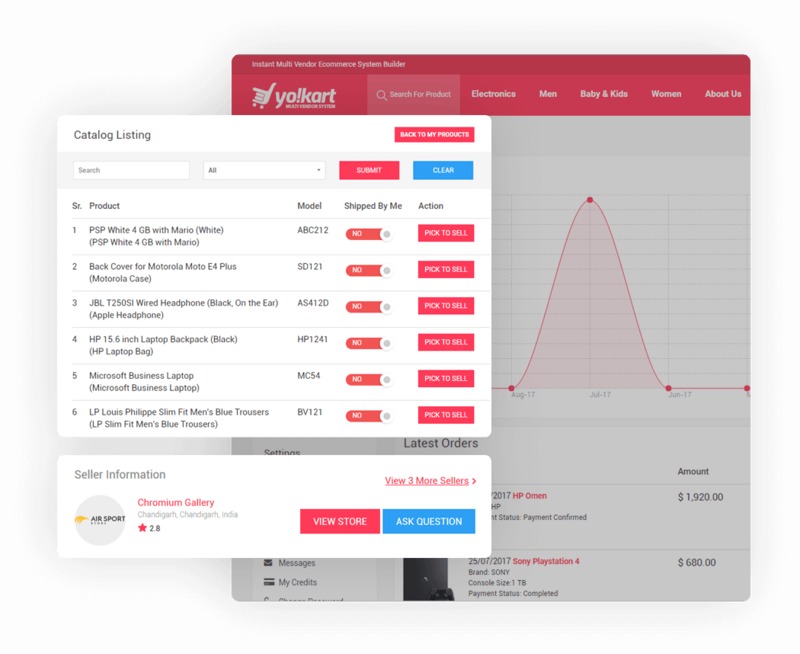 YoKart focuses on all aspects that may enable a marketplace to generate high ROI. V8 simply manifests the same. Right from the homepage to the checkout, the new UI design makes traversing through the websites a breeze. Easy navigation and quick to load pages help in speeding sales funnel up. 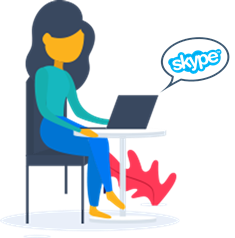 Better graphics and faster image processing deliver unprecedented user experience. 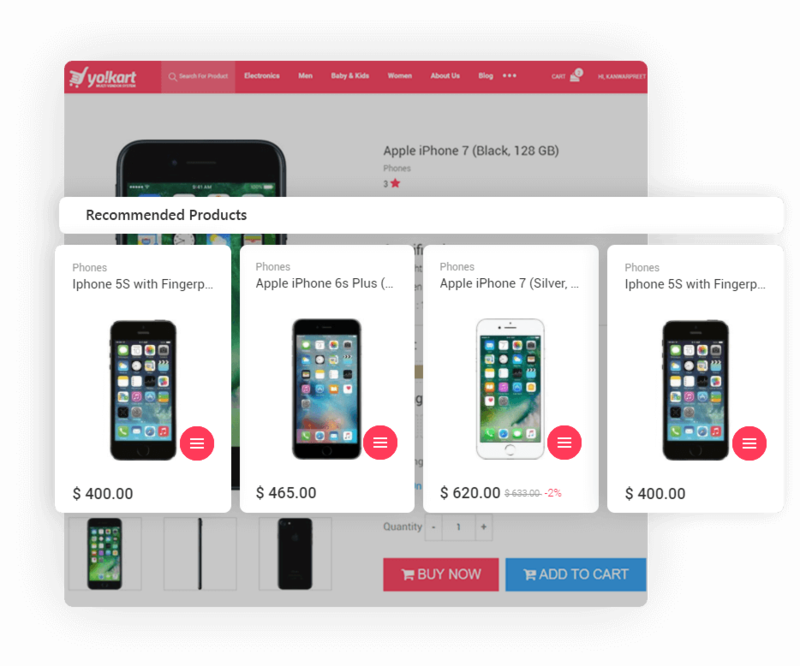 From better recommendations to quick checkout, your end users will love to keep coming for more. Apart from the catalog feature, the backend of YoKart V8 has also undergone minor yet remarkable rework. Admins can now suggest more appropriate products to customers and handle all the deals, discounts and other offers easily. Marketplace management has now become as easy as it can get, from coordinating with sellers and customers to updating the catalog. Let your international customers view prices in the currency of their own choice. Quick and safe payments through PayFort, one of the most trusted payment gateways. Multiple currency support and safe payment gateway lead to better shopping experience and better revenues. Entice and attract more customers and convert first time buyers into loyal customers through intelligent reward and discount programs. Strike the right deal at the right time with YoKart. You can offer rewards on each purchase, offer yearly rewards as well as special occasion rewards, such as birthdays. Enhance user experience and establish trust by allowing customers to view your marketplace in a language of your choice. No need to make different websites for different languages, just click on the drop down menu and your audience can choose the language they prefer. marketplace with Yo!Kart Version 8?